Keep with the trends with oNecklace's Sterling Silver Centre Heart Arabic Name Necklace. 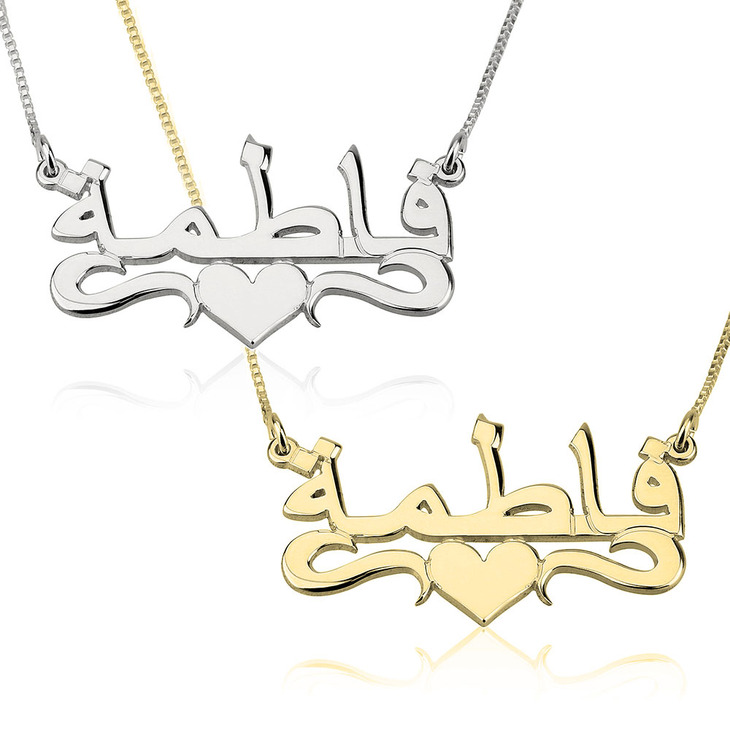 Show off your trendy and girly side with a one of kind personalised Arabic language name necklace of your own! You will love the adorable heart design that underlines the Arabic personalised name.